Instagram allows users to follow hashtags. Your posts will now show up automatically whenever a user follows a hashtag you employ. The algorithm also lets users filter the hashtags they follow, so keep yours as relevant as possible. Applying hashtags to your Instagram Stories, as well as your posts, provides you with yet another way to get discovered. If your hashtag is popular enough, viewers can view an active, real-time Instagram Story whenever they search for it. There are two distinct types of hashtags—branded hashtags and community hashtags. Branded hashtags are specific to your business. They might feature your brand name, products, or a new campaign. Creating catchy, memorable branded hashtags often inspires users to share or mimic them. Community hashtags, like #dogsofinstagram, are specific to topics. Using community hashtags is a great way to connect with users who might be receptive to your business. Go for quality, not quantity. Why? Broad hashtags such as #foodie get posted every few seconds, quickly burying similarly tagged posts in the feed. 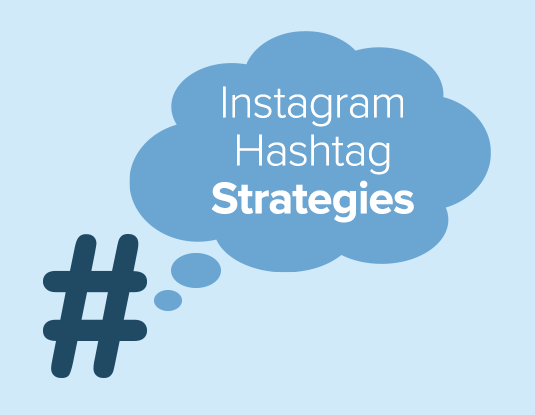 Using more specific hashtags will do a better job or targeting your specific audience. Also, look at successful Instagrammers in your market, or use the search bar, to discover additional hashtags related to your business. Switching up your hashtag blocks, instead of applying the same ones each time, is better for engagement. Which is why you need to organize your hashtags. Save them to a spreadsheet, sort them by category, whatever works best for you. As you can see, there’s more to hashtags than meets the eye. Adopting a smart hashtag strategy will help you extend your reach, keep your posts relevant, and keep your users interacting. Based on Why It’s Time to Update Your Instagram Hashtag Strategy, by Matt Smith.